Thanks Brian and Guardian for your comments! @Guardian: before answering your interesting question I need to understand properly what you mean by "those stations both (...)" - are you referring to the two 'subway squares' that end the subway tunnels on the lower left quarter of the last picture in my previous post? 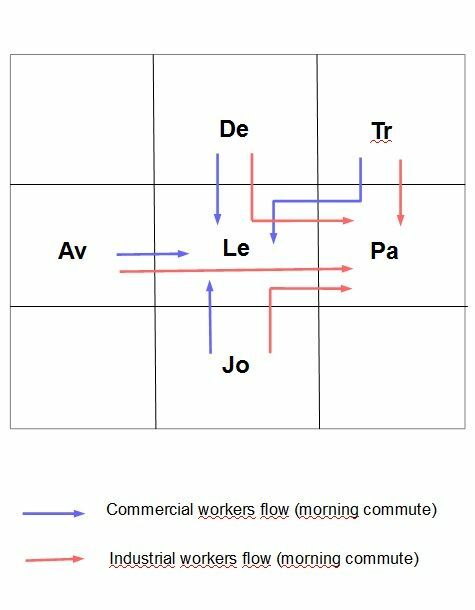 (November 21st, 2018 at 7:44 AM)pierreh Wrote: @Guardian: before answering your interesting question I need to understand properly what you mean by "those stations both (...)" - are you referring to the two 'subway squares' that end the subway tunnels on the lower left quarter of the last picture in my previous post? Those would be the ones. I guess they're more transitions than anything? Yes indeed, they are transitions, between the subway on one side and the GLR on the other side. The subway square, which is placed on the center tile of the transition, is where the subway tunnel is connected on the subway side. In that sense, these transitions switch subway traffic to GLR traffic, and vice-versa, without any loss or gain. They do not constitute any bottleneck, their limitation is that of the subway tunnels, which can carry a maximum of 65535 subway users. So they are not 'stations'; a typical subway station has one or more staircases, that represent the ability to switch between pedestrian traffic and subway traffic. RTMT also includes more complex stations such as, for example, combined subway+bus stations, where there is also switching between bus traffic and subway traffic, etc. Ah, makes sense now. Thanks for the clarification! I really misunderstood that at first. My bottleneck comments make no sense now. I have been quite inactive lately, because of some family-related issues, which will continue to keep me busy until the end of February. Still, I have found a few opportunities to play the game, and for a diversion to the Talaran 9-cities cluster, I have returned to an older 6-cities cluster. That cluster was called 'Sambey', since that was the name chosen for the entire region. Actually the Talaran cluster is also in that region. Because of this, and also as I don't want to start yet another CJ, I'll document here what I have started doing on the 6-cities Sambey cluster. Quite soon those flows became difficult to manage: highways, railways and subways linking the cities reached saturation, were doubled, trebled, with little effect. As it was not possible to overcome the game's limitations, I left the cluster aside, and went on to develop Talaran with 'normal' cities (and yet considerable inter-city flows, as documented earlier in this CJ). Lately I have returned to that old Arcens cluster. What I am doing is to 'normalize' its cities, by adding commercial zones to the 4 residential cities, and residential zones in the commercial city of Lessy. For the time being I am not doing anything with the industrial city of Parnal. I am also reviewing the highway interchanges and access ramps, taking advantage of some of the RHW features. This seems to be going fairly well. I'll be documenting (slowly) the progress of that effort, in parallel with the further development of the Talaran cluster. This was an interesting post for me..
Because I played regionally in sc4 in a similar fashion . Using specialized "job" cities .. for the most part..like you have.. Although I would often later include at least some kinda small residential populations even in these "job " cities..
Part of the reason , that I like to do this was to than be able to make the near by residential cities a larger population for the lands I had to build upon. I did wonder if this was all from the "same" region. I was wondering if in your next posting, you could give us a new update on what our current region population is currently ? Thanks for your interesting comments, Brian. 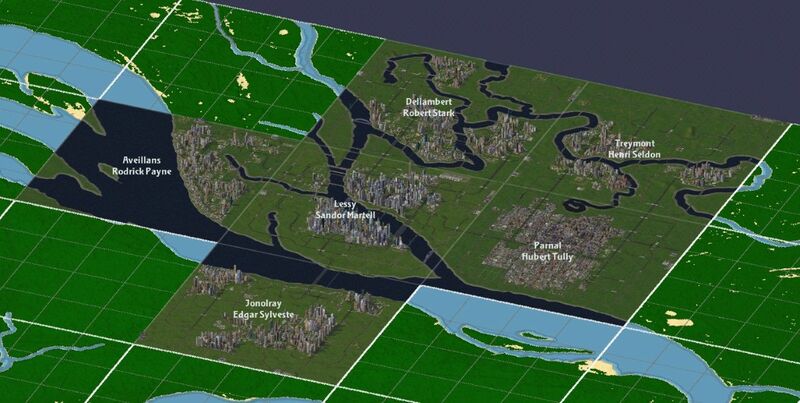 Currently the largest city, in terms of population, is Prandergal with 1'188'115 Sims. It is interesting that you mention that you have been playing with 'specialized cities'. 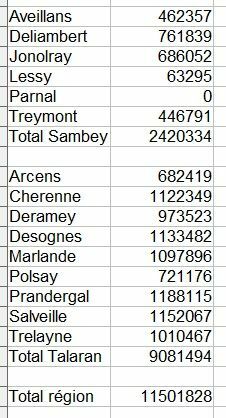 I don't know whether you remember my postings about the Sambey cluster, at the time my CJ was hosted on Simmania. I encountered tremedous saturation problems with the inter-city traffic. Actually those problems are still present. I'll be documenting a few of them in later posts. Did you ever experience serious saturation problems with the inter-city traffic in your specialized cities? Quote: Did you ever experience serious saturation problems with the inter-city traffic in your specialized cities? and I think that was part of the reason i gravitated away from regional play, really..